Tuscany in July and August is usually hot, sunny and humid, so it’s not surprising to find an abundance of open air Festivals on offer. 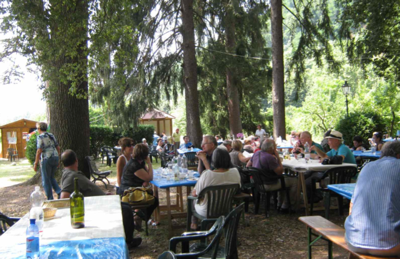 Some are simple village affairs where you can join in with the general fun and festivities and sample the locally grown produce. 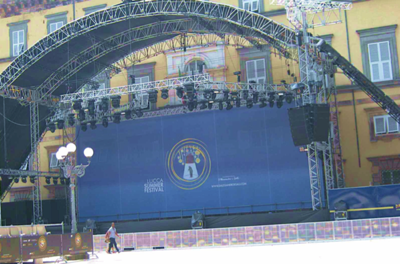 Others are on a much grander scale and with a more international flavour, like Lucca’s Summer Music Festival held in the grand Piazza Napoleone in July. The streets of this medieval town will soon be resonating with the music of class acts like Stevie Wonder – unfortunately, tickets have been sold out for some time – The Eagles and The Prodigy. 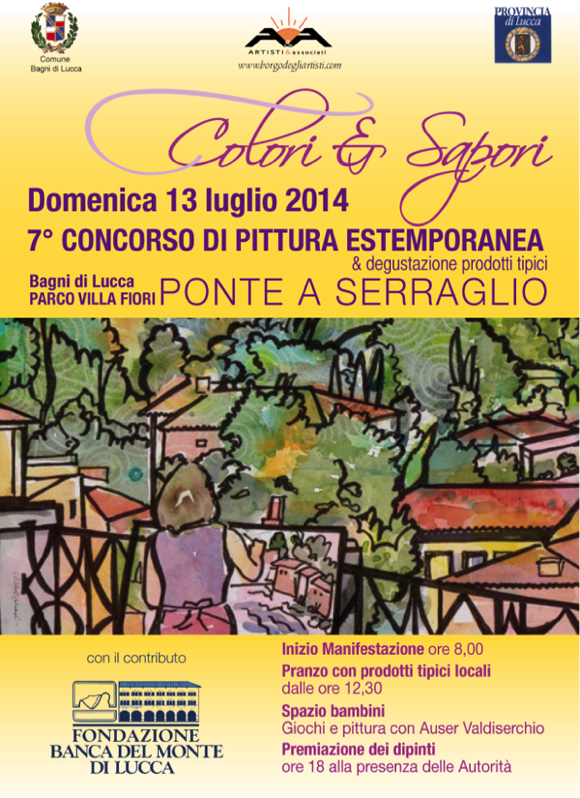 Further north off the Brennero road, the village of Bagni di Lucca will host its annual Extemporaneous Painting Competition on July 13, on the banks of the River Lima at Ponte a Serraglio. 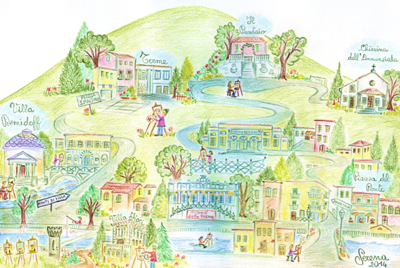 This year artists can also look for inspiration in the hills around Bagni Caldi, il Paretaio, and la chiesina dell’Annunziata, using the map of the area designed by borgo degli artisti member, Serena Petri, as a guide. 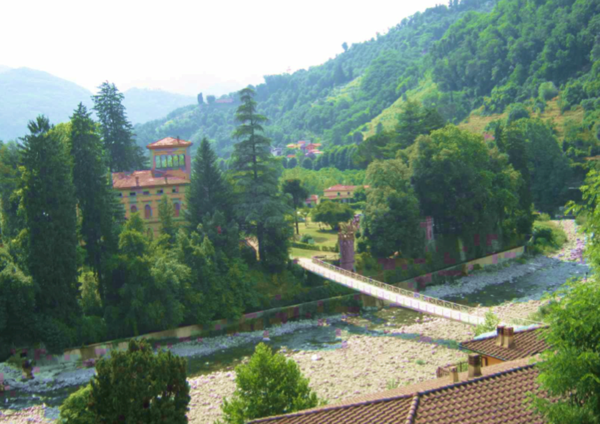 Further north still, following the River Serchio as it flows through the Garfagnana region looking out towards the Apuan Alps we find the elegant hill - top village of Barga, often described as the most Scottish town in Italy because of its historic cultural links with Scotland. Founded in 1965 by Peter Hunt and Gillian Armitage, the festival aims to stage works from the Baroque or Modern eras, many being performed for the first time. 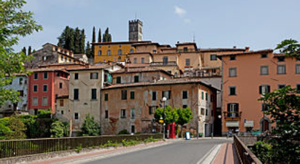 Barga is a hive of cultural activities and in August the small towns in the valley below can enjoy listening to the strains of Jazz while it’s being performed in the Piazza Angelio as part of the BargaJazz Festival. The theatre is another venue for this popular annual event, which showcases some excellent Jazz musicians and includes new compositions. 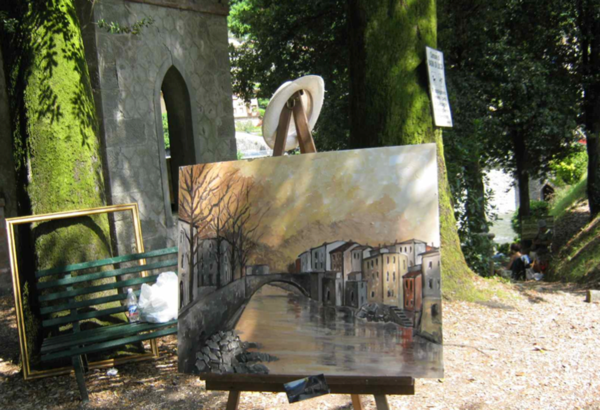 Meanwhile, art lovers can wonder round the studios and art galleries which display works by many painters who have spent at least part of the year inside the castle walls, including the Scottish artist, John Bellany who died last year.